It’s nearing summertime, and with the winter thaw, the warm air, and the summer sunshine comes the events season. Music festivals, corporate retreats, conventions, expositions, weddings, and parties parties parties. Logistically, it’s a cutthroat industry, with 32 percent increase in competition among event planners in 2017 (Eventbrite 3rd Annual Pulse Report). Invariably, organizers of these events are always looking for ways to stand out, seeking with dedicated hunger the latest and greatest entertainment that the world has to offer. 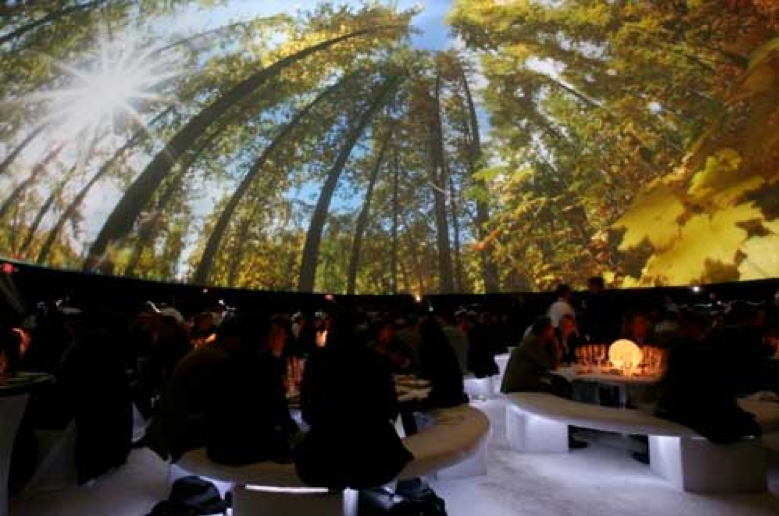 One medium for entertainment that is globally on the rise is that of the Digital Dome – an immersive domed environment that is projection mapped to display 360° visual content, usually accompanied with equally immersive audio systems. Akin to the ever-evolving Virtual Reality technology, where participants can slip into an altered reality of light and sound, the Digital Dome unlocks a new potential for event organizers to captivate attendees with the all-encompassing content of their heart’s desire. Want your 200 person audience (actually, domes can hold many more people than that – we’ll get to this later) to experience summiting the peaks of Mt. Everest, diving into the depths of the Atlantic Ocean, or dancing on the surface of the moon? All of the above? Digital Domes make that possible. May this blog post serve to evangelize this unique medium and educate those thirsting for the bleeding edge of events entertainment. Evolving from the early days of your favorite neighborhood planetarium, Digital Domes have come to cater to many different types of uses beyond the realm of science and astronomy; from brand, launches to live concerts to video gaming and training simulations. With the rise of technology, possibilities are becoming limitless for the types of environments that Digital Domes can create. Sizes of Digital Domes can vary from a few feet, perfect for a single person, to two hundred feet, capable of holding thousands of people. They can be permanent fixtures embedded into architectural designs, or temporary pop-ups perfect for trade shows and ephemeral events. 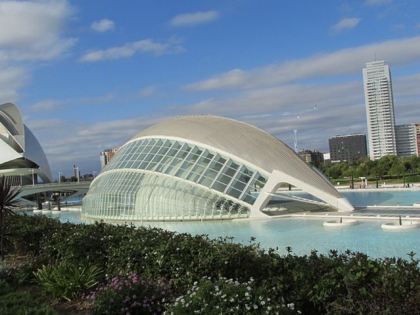 L’Hemisfèric, The City of Arts and Sciences, Valencia, Spain. 110 meters long, and 55 meters tall. With massive gatherings like these thrusting Digital Domes into the forefront of entertainment, it is an exciting time to be in the know about this evolving medium. But that is not the end of it. 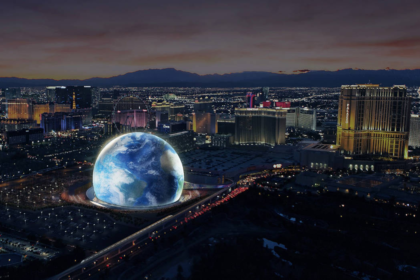 At the beginning of 2018, the Madison Square Garden Group announced their plans to build a MASSIVE permanent events dome in the heart of Las Vegas, Nevada. This dome is reportedly going to be an 18,000-seat arena, built specifically for music and entertainment performances, and also could host esports competitions and possibly boxing and mixed martial arts. It’s clear: the Digital Dome is on the rise. The question now is how to get in the know with this new medium and start using it to your benefit. As an artist, a fan, or an event producer, there are more ways than ever to get up to speed on Digital Domes. The following resources are recommendations for all those who are interested. Includes a list of workshops, events, groups, festivals, conferences, blogs, tutorials, and more. A website dedicated to fulldome shows, domes around the world, organizations, and events. If you are an artist or fan in the Colorado Metro region, please join us at MORPHOS May 11th and 12th in Fort Collins, Colorado. 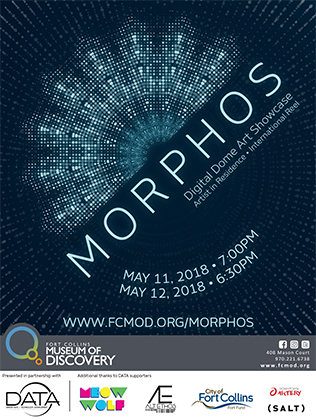 We are excited to be performing audio and visual mixes at the fourth MORPHOS Digital Dome Showcase. We are also a proud sponsor of artist Huang Wei-Hsuan who joined us in Colorado all the way from Taiwan. For more information, please visit our sister nonprofit organization Denver Arts and Technology Advancement (DATA). If you are an event producer who is interested in bringing a pop-up Digital Dome to your next event, you are interested in purchasing a dome, or would like some content development, don’t hesitate to contact us at Alt Ethos! We will be happy to assist you with any and all of your fulldome needs.